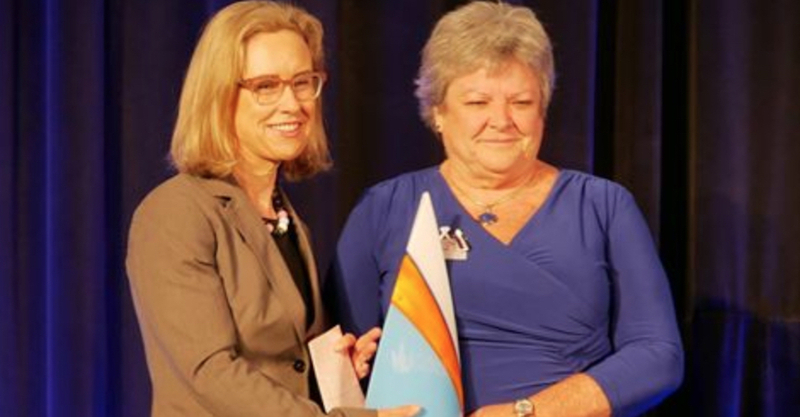 Rio Tinto’s White Ribbon Accreditation has won the Outstanding Company Initiative award at the Chamber of Minerals and Energy (CME) Women in Resources Awards in Perth, Western Australia. Rio Tinto achieved a White Ribbon Workplace Accreditation, recognising the company’s work to eradicate violence affecting employees and the communities in which it operates. The accreditation was achieved through Rio Tinto’s consistent demonstration of effective leadership, resource allocation, communication and human resource policy development. White Ribbon’s Workplace Accreditation Programme is internationally recognised and has reached over 600,000 employees nationally. The program has been independently evaluated and referenced by a group of human resources, human rights, domestic violence and education professionals, ensuring a best practice product. Rio Tinto managing director Australia Joanne Farrell said “Rio Tinto has made a number of important changes to our policies, processes and resources to support our employees and our communities who are affected by family and domestic violence. “This is a journey we all need to be on – we want a workplace forever free of fatalities and a community forever free of violence," she said. “...we’re proud to join with the resources sector to celebrate the outstanding contribution of so many inspirational women to our industry. “We are privileged to have so many fantastic role models within Rio Tinto, including the finalists today, who are true pioneers for the progress of women in this industry. We’re proud to support the 2018 CME Women in Resources Awards as regional sponsor, demonstrating our commitment to celebrating diversity and achievement within the resources sector," she added. Rio Tinto also acknowledges the fantastic achievement of Melissa Cundy, Sharron Sutton and Lynn Olssen for being nominated as finalists. Join this progressive employer and discover for yourself a rewarding and challenging career via these current vacancies.